Over 3 years ago, I was diagnosed with Hashimoto’s Disease after I had gained almost all the weight I had years prior. So here I thought after I got on the correct medication and working out 4-6 days a week I would get back on track. However, 2 years ago I was T-boned and have been dealing with several injuries to my neck and back that hindered me from that. I told her about my injuries, how I was feeling (that I did not want these injuries to define me or limit me) and what my goals were. She said she was familiar with these types of injuries and set up a session to see where I was with my fitness level. I knew after that session she was the person to help me and I have been with her and Jada ever since! Stephanie pushes me like I want and need to be to reach my goals. She motivates/encourages me and takes a personal interest in making sure I reach each goal we set, not only at the gym, but when I am at home too! She checks in on my and takes time out of her own to help me when I reach out with questions regarding the plan she’s set me up on (Macros!!). I love the group training Steph does and the girls in the group, we work hard and have a great time doing it! I’ve started massage therapy with Steph and I can’t tell you how that has helped with the pain management from my accident. Stephanie is a true blessing to me not only as my trainer, but in the friend that she has also become! 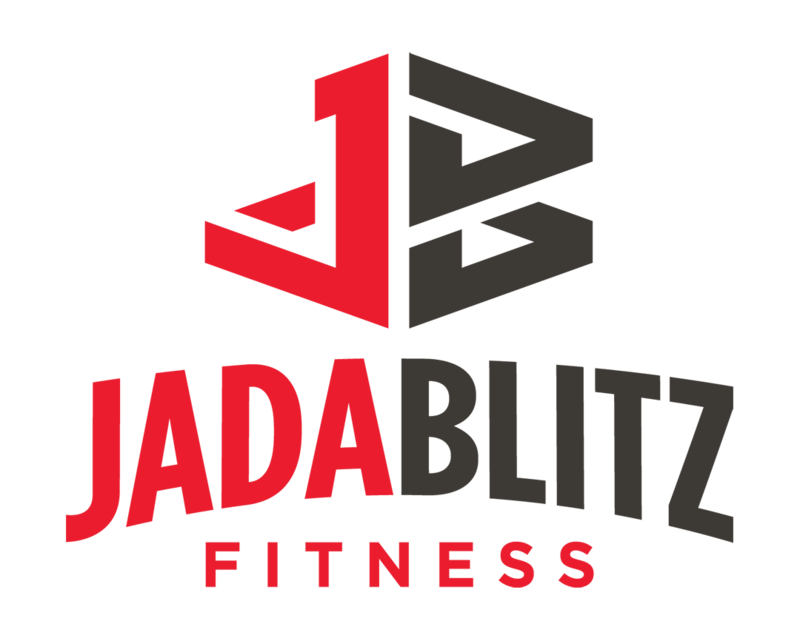 I have recommended Jada Blitz to people and will continue to because everyone that I see and have come into contact with are always helpful and welcoming. Will makes my post workout shake perfect every time and I love the Balanced Body meals! The gym has a great set up, classes are awesome, its family friendly and they take part in the community, so why would I not recommend anyone to a place I have grown to enjoy and look forward to coming to! Thank you!